Are you still worried about the bloated winter? If yes, then try some wool coats for your autumn/winter! A suitable wool coat makes you look beautiful and fashionable, meanwhile, it keeps you warm in the cold seasons. Take a look at some classic styles! With this pure wool coat, you don’t need to put on too many clothes and drag on for a long time in winter! Attaching a belt, you can go out beautifully. The fabric is the high quality of double-sided wool. Although it looks a bit thin, heat retention property is amazing! Don’t worry about becoming a bloated panda. Even if it is in winter, you are still the glamorous one! This coat uses 100% wool content, and the texture of the fabric is delicate. Straight type and clean version show more temperament. Raglan sleeve coat itself is like a little cloak. It is also a long coat and the placket uses a belt instead of a button. So it is also very cool to put it on like the picture below. This year’s popular coat has become a classic, why not pick it for yourself? The tartan pattern is simple but is never left out of the fashion. The latticework, which symbolizes the British style, has always been popular and dazzling regardless of seasons. Whether woolen overcoats, small jackets, wind coats, skirts, scarves or socks cannot escape the temptation of the grid. See some other pattern images. 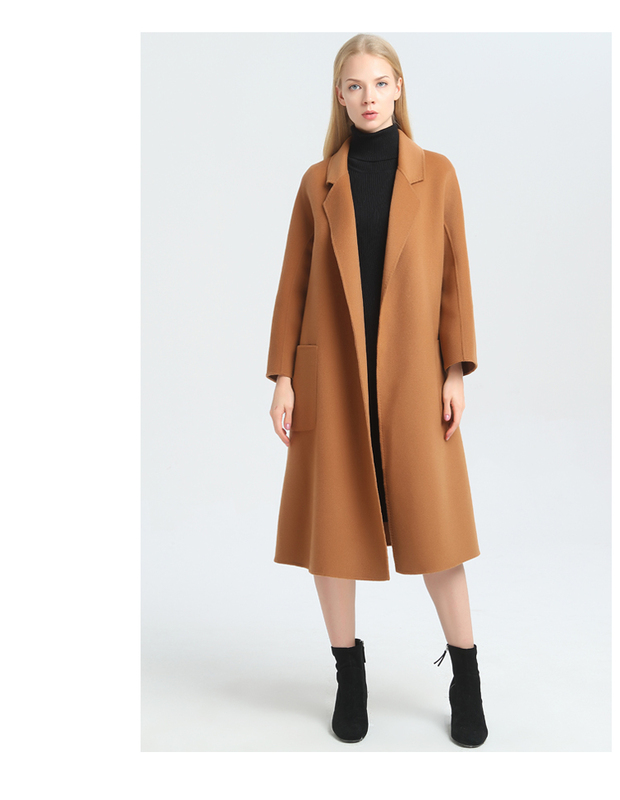 This kind of coat has a retro look. Both sides are the same tartan double-faced woolen fabric, which is soft and warm. Adding some synthetic fibers effectively plays a role in anti-pilling and anti-wrinkle. They are suitable for different situations: working, dating or just daily dressing. The grid patterns of two sides are different. The outer one is bigger than inner, which makes this coat more youthful and lively. The inner side of this coat is pure color, and the overall grey tone makes the coat look more formal. The above patterns are just for your reference. We can provide a variety of styles for you to choose. This entry was posted in blog and tagged wool coat.